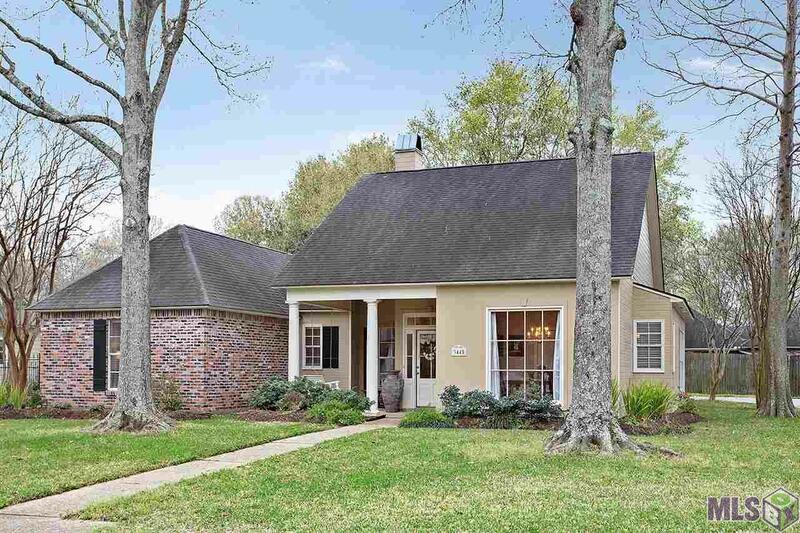 Wow, move in ready in Riverbend! This 4 BR 3 BA beauty boasts a triple split floorplan, with beautiful wood and tile floors, no carpet! Recent window replacement updates, lots of light! Curb appeal with a deep front porch, relax on the porch swing. The living room features a gas fireplace, crown molding, gleaming Brazilian cherry floors that extend to all the bedrooms. Formal dining room with charming pine floors, right off the kitchen. Kitchen features an island, pantry, generous breakfast area, lots of storage and counter space, refrigerator stays. The master bedroom is so spacious and features a sitting area; master bathroom with 2 walk-in closets, vaulted ceilings, separate shower and jetted tub, dual vanities. Two bedrooms share a Jack-n-Jill bathroom, walk-in closets, adjoining nook in hall perfect for sitting or play area. Separate guest bedroom and bath with a large shower off the kitchen area is ideal. Nice sized laundry room is a plus. 2 car carport has a garage door for more privacy, large workshop/storage room. Relax under the lovely, mature live oaks in the back yard, extended patio. This is a great one, near LSU, downtown, on the St. Aloysius bus route! Don't miss this wonderful home!